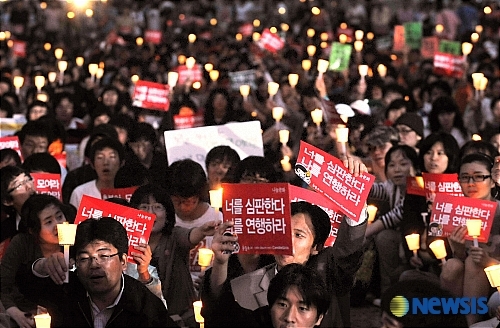 At least 30% of the people who surrendered to Chosun/JoongAng/DongA(Korea’s major media) will definitely be effective. Invent/Develop/Preoccupy trend items such as “Social Responsibilities” –> easy and amusing appeal point. Develop ideology items, secure and manage a delivery and distribution channel. Most of the critic trend includes non-mainstream frustrations –> flatter and they will like it very much. Reconsider interfaces centered to Conventional main-stream media and opinion leaders. Why feed and bother kids(the reporters) when you can bribe them with luxury presents anyway. Rather, give them “a moderate snob item” and let them get famous. To lure the mass with shiny good looking words –> This is the actual use of Consulting Words.